I’ve seen a lot of things I haven’t liked over the last 12 months that have been said about some young Green Bay Packers players. Specifically I haven’t enjoyed the way that Datone Jones and Jerel Worthy have been unfairly labeled as busts. I’ve been concerned about Davante Adams being pimped as a possibly OROY candidate. I was proved right last season when I proclaimed that David Bakhtiari would be just fine. There are certain positions that it’s easier for rookies to play in the NFL and there are a few positions in which it either requires the addition of strength or the refinement technique that takes a season or two to master. 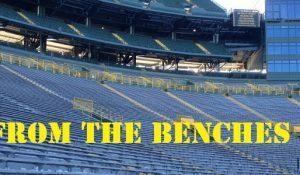 I’m going to break these down for you as best I can and provide you with examples from Packers lore as well as some of the best players in the league. Just because a player that was drafted isn’t drafted at a “year one impact position” doesn’t mean that the pick was wasted or that the player won’t turn out. Running back– this one is a no-brainer. In 12 of the last 20 years the offensive rookie of the year has been a running back. Eddie Lacy was only the most recent success story at the position. Running back is certainly a young man’s game. More often than not a running back’s career as a feature back expires around the age of 30. Backs certainly become more refined, certainly in the passing game (both blocking and receiving) but as pure runners elite prospects pretty much enter the NFL ready to plug n’ play. They don’t always stay very long. “Detached” Linebacker– I understand that that sure sounds like a made up position, it’s not. As far as I’m conerned in today’s NFL there are “edge rushers”, “linemen”, and “detached linebackers”. 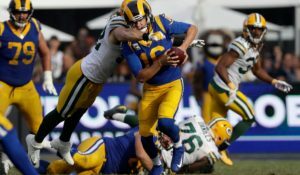 Regardless of system there are linebackers that play on the line of scrimmage (their responsibilities include pass rush and setting the edge against the run) like Clay Matthews and there are those that do not (their responsibilities include run-fit, coverage and sideline to sideline chase) like AJ Hawk. Think of these detached players as the running backs of offense as far as it concerns first year players. 8 of the last 15 defensive rookies of the year have been this type of player. Players like Kiko Alonso, Luke Kuechly and Brian Cushing come to mind. Quarterback- this is kind of a recent development. It always used to be a staple of the NFL that when a QB was taken, even if he was taken highly, the smart thing to do was to have him sit for a year or two and learn. That strategy certainly worked for the Packers and delivered them the best QB in football in Aaron Rodgers. Of late, though, getting a new QB has been a way to get a team at least over the hump to the point of reaching the playoffs. Recent examples of that progress are Mark Sanchez, Andrew Luck and Robert Griffin III. Defensive Back-this is right where I draw the line. I am torn between calling this a next year and beyond position and acknowledging the fact that often times draft choices invested in defensive backs often do improve a teams pass defense as a whole. Usually defensive backs are not “playmakers” in their first seasons in the league. It’s certainly possible that they cover well and that they allow fewer completions than their predecessors but as far as really causing a lot of turnovers that is very rare. I’ve decided to put this position on this side of the ledger because as seen in 2013 by the Saints addition of Kenny Vaccaro and in 2012 with the addition of Harrison Smith, adding a defensive back to your secondary early in the draft can help your team immediately even if the “splash” plays aren’t quite there yet. As it did with Nick Collins and Darren Sharper and Leroy Butler before him the splash may come later. 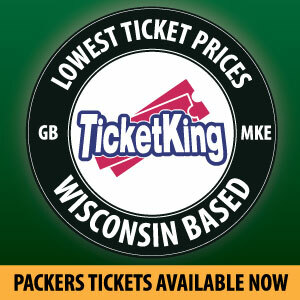 Defensive Line– I think I list this one first because it concerns me the most about the current Packers roster. A lot of people are concerned with the lack of production from Datone Jones and Jerel Worthy and somewhat rightfully slow. What people are failing to realize is that it usually takes a full season in the NFL before defensive linemen either gain the necessary strength or develop the necessary nuance to their games to be effective players. History, including recent history is riddled with players that needed a year to understand the NFL. Sheldon Richardson might be the exception that proves the rule. Jones is entering year 2 and for all intents and purposes so is Worthy (devastating injury to end 2012). 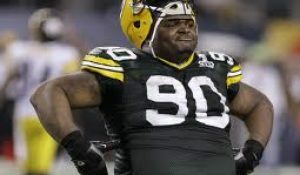 I think if both players make the jump that I anticipate, they along with Mike Daniels will make the D-Line rotation a strength that it hasn’t been in a very long time. Pass Catcher– there are a lot of theories why rookie wide receivers are not instantly effective. Some say it’s because they don’t have the strength required to get open against press coverage. Some say that it’s because it requires more time to establish chemistry with a quarterback. Some say it’s because they don’t have the required knowledge of the route tree. No matter what it is, with the very rare exception (like Keenan Allen), receivers do not really break out on to the scene until at least year two. This is certainly true with the last 4 highly drafted Packers wide receivers that fans will remember, Jordy Nelson, Randall Cobb, James Jones and Greg Jennings. This is what concerns me with people’s expectations for Davante Adams and even Jared Abbrederis. I’m very excited that if the Packers are able to re-sign Nelson and Cobb the Packers should have the best receiving corps in the league for the next 4 or 5 years. That is certainly possible and exciting but keep your expectations low for the wide receivers of the 2014 class. Tight ends are the same way. Neither Jimmy Graham nor Rob Gronkowski exploded onto the scene as rookies, and neither (usually) does anybody else. Edge defender– it is very hard for rookies to rush the passer. For whatever reason that is just a proven fact. Year after year when you look at the top of the sack charts it seems to be players that have at least 2 NFL seasons under their belts. Sometimes players (like St. Louis freak show Robert Quinn) take more than just one season to “figure it out”. These players should never be judged after one season. Rushing the passer is a rare art form and very few people are exceptional at it. Players with the potential to do it should be treated as the rare gems that they are and given every benefit of the doubt that they can become productive players especially if they can also perform against the run. 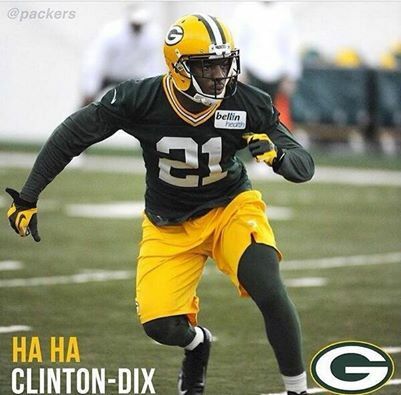 So with all that said, and my personal evaluation of these players’ talents the only player from this draft class that I would expect a lot from is HaHa Clinton-Dix. Adams, Janis, and Rodgers all may fill in down the line but not much should be expected. Jared Abbrederis will likely be a staple of this team for years to come, and this year he might contribute quite a bit on special teams. Khyri Thornton’s biggest contributions may come in year 2 a la Mike Daniels. Carl Bradford is a hell of a football player, but in terms of pass rush I’m not sure much should be expected of him in year one either. Corey Linsley and Demetri Goodson were probably taken too late to be considered for a big 2014 impact. None of this, however, means that the Packers did not take a huge step towards a bright future during draft weekend because I believe they most certainly did. This entry was posted in Packers 2014 - 2015 Season and tagged 2014 Season. Bookmark the permalink. Very good insight. I hope C-Dix and our 2nd and 3rd year players really step up this year. The new CBA and late draft also hurts draft and develop teams like the Packers.